Reed Hastings has long argued that Netflix is a service that's complementary to cable and will never be a solution for cord cutters. 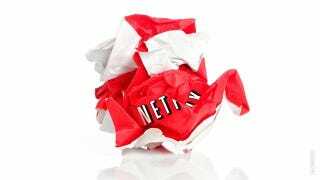 While speaking to a bunch of suits in San Francisco yesterday, Reed Hastings made known his desires to have Netflix bundled into our cable service. According to Paid Content, Hastings said that copycat services like Amazon Prime (and presumably Hulu Plus), are not his main competition. Rather, it's the TV Everywhere initiative that cable companies are pushing through tablets and streaming boxes, along with the HBO's streaming app, HBO Go. "It's very easy for companies to over-estimate copycat competition and not see the real threat," said Hastings, who cited the example of now-defunct internet-browsing pioneer Netscape. "You go back to 1995, and you talk to the Netscape sales force and ask them what their No. 1 competition is, and they'd say Spy Glass, which was taking a little market share from them at the time. But the real competition was Microsoft and bundling."